Some hoodies are for downtime. 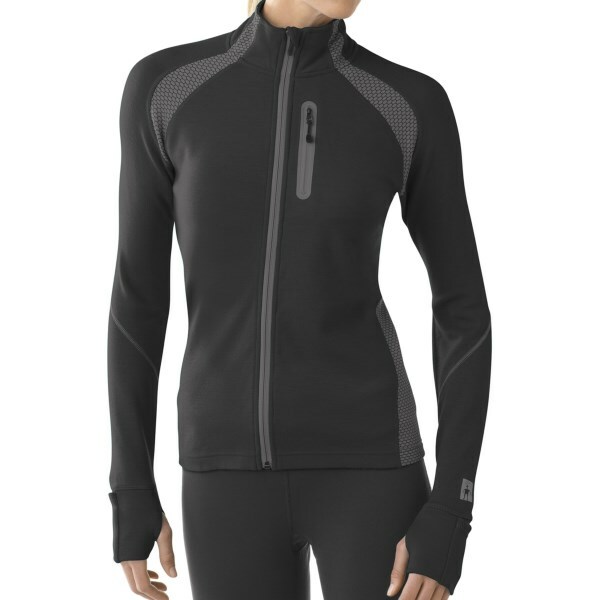 The Smartwool PhD HyFi full zip wants a piece of the action. Helmet- and ponytail-ready, it blends double jersey Merino and a wind-resistant shell in a flattering semi-form fit. SmartWool's PhD HyFi Hoodie features a wind-and abrasion-resistant face fabric backed by merino wool for breathable, moisture-wicking warmth and dry comfort against your skin. 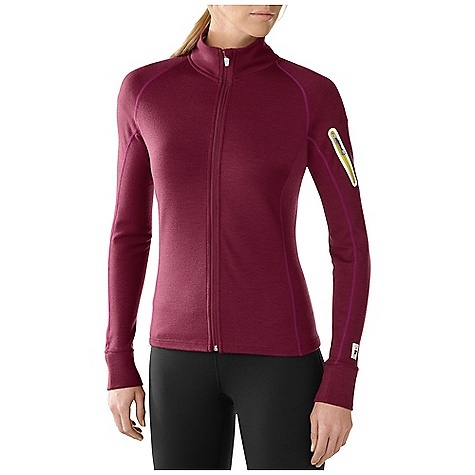 It's a must-have, nonbulky midlayer for core warmth in cool weather. A midlayer to meet your every need: the superwarm and stretchy SmartWool Women's PhD HyFi Full-Zip Hooded Top breathes beautifully, fits ergonomically, and stays fresh when you can't bear to take it off for laundry day. An ample hood and sleeves with thumbholes keep you covered on wind-whipped slopes or chilly walks in the shade. Wear it alone on a cool-weather run or high-output cross-country tour. 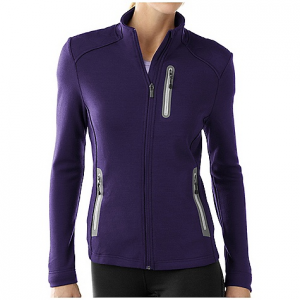 Stay warm while cross-country skiing in the women's SmartWool PhD HyFi full-zip hoodie. 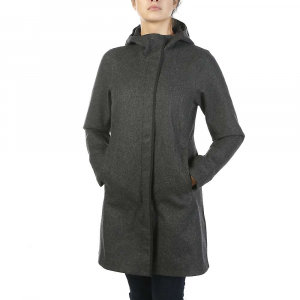 It uses the natural talents of wool to wick moisture and insulate and a tough outer fabric to resist wind. 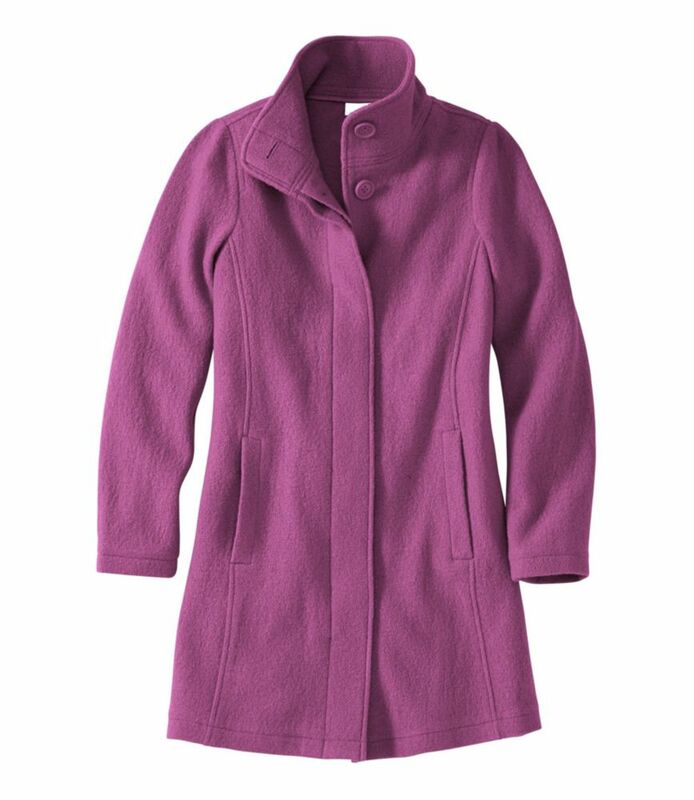 Bi-component construction places wool next to the skin to maintain moisture-wicking, heat-regulating comfort; nylon outer face resists wind and abrasion. Form-fitting hood offers extra warmth; hood is thin enough to be worn under a helmet. Full-length zipper with draft flap lets you easily regulate core temperature; chin guard ensures comfort. Zippered hand pockets stash essentials, and zip chest pocket features a cord-routing port; thumbholes allow sleeves to extend over top of hands for warmth. Semifitted cut of the women's SmartWool PhD HyFi vest is not too tight and not too loose. Machine washable. 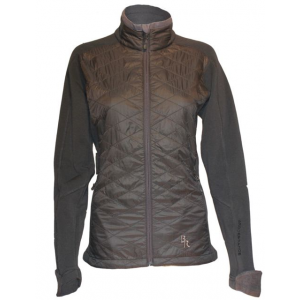 The Smartwool Women's PhD HyFi Full Zip Hoody is not available from the stores we monitor. It was last seen May 7, 2016	at CampSaver.com.